With many workers employed at the meatworks, railway workshops, port facilities or in wholesale and retail distribution, light manufacturing and government administration, the largest unions were the Australasian Meat Industry Employees’ Union (AMIEU); Australian Railways Union (ARU); Amalgamated Engineering Union (AEU); Waterside Workers’ Federation of Australia (WWF); and the Transport Workers’ Union (TWU). The Australian Workers’ Union (AWU) catered for labourers and semi-skilled workers in government and statutory authorities but the essentially rural AWU always lacked locally the strength it had elsewhere with shearers, miners and canecutters. It also remained apart from, and aloof to, the rest of the union movement: it did not contribute to the purchase or operation of Trades Hall; nor did it occupy an office there. As part of seeking workplace justice for members, unions at various times formed peak union industrial bodies. 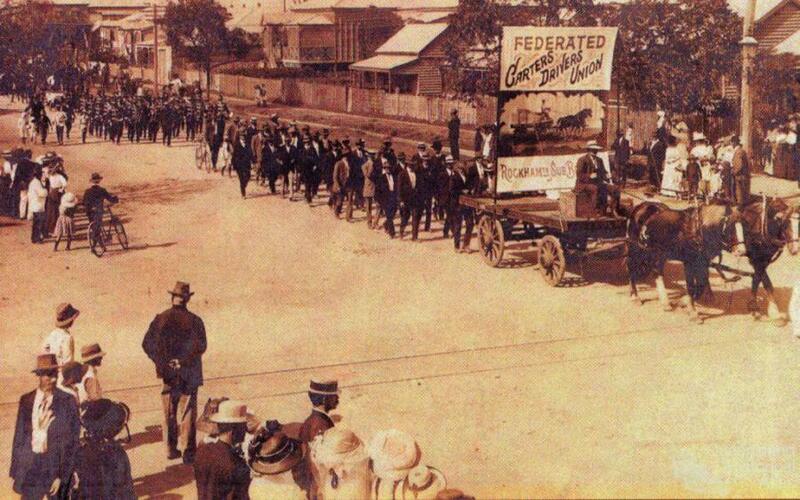 After several short-lived organisations in the early decades, a lasting Rockhampton Trades and Labour Council (RTLC) formed in 1938. In the mid-1950s, two rival councils existed, one run by alleged communist sympathisers and one dominated by Movement members. Both claimed to be the legitimate body but the former eventually triumphed after the disastrous Labor split and loss of government in 1957. Because unions and their state officials invariably handled their own industrial business, the RTLC became mainly a vehicle for political complaint, particularly during the ensuing era of conservative government to 1989. From 1909, combined unions celebrated Eight Hour Day with a street parade accompanied by banners and brass and pipe bands, followed by a grand sports carnival and picnic. This later became Labour Day which local unions still celebrate on the first Monday in May. Individual unions organised well-attended annual picnics for members’ families at the seaside, journeying to Emu Park in convoys of decorated trains. Union members from Mount Morgan and beyond travelled long distances to join these festivities. In the early decades with limited social welfare and educational opportunities, unions provided sickness and death benefits, supported classes through the Workers Educational Association, donated to charities and organised socials and cultural events. 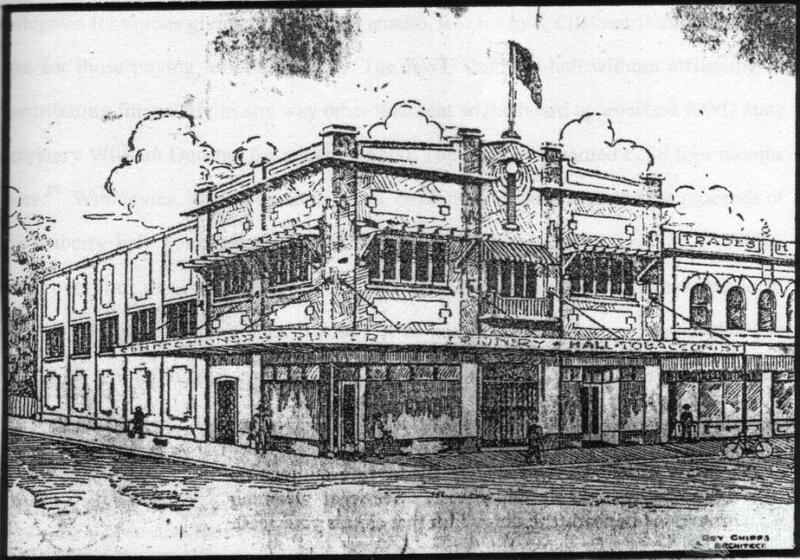 In 1926, a theatre was opened next to Trades Hall for that purpose. Nevertheless, Rockhampton unions remained focused on their core business: defending and advancing their members’ workplace interests against the employer. After the change of government in 1957, that task became harder but almost 40 years of improvements in hours, pay and conditions through trade unionism left workers with vastly better conditions from those half a century earlier.